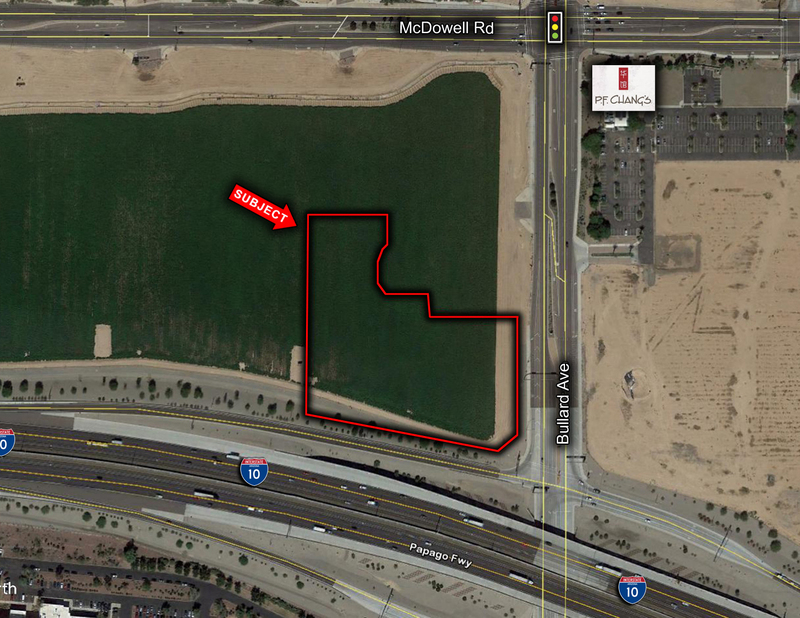 This hard zoned commercial site sits at a full diamond interchange at Interstate 10 and Bullard Ave. This is the gateway to Palm Valley in close proximity to many retail services. This project is prime for development in a variety of uses. LOCATION: Northwest corner of Interstate 10 and Bullard Ave in Goodyear, AZ.